This post is sponsored by FAGE Greek Yogurt, however, all thoughts and opinions are my own. Most of you know I am big fan of yogurt and have been surviving off of it during my pregnancy, especially. Protein rich foods have been key in helping me get through my morning sickness and low energy levels, so with FAGE Total 5% yogurt having 18g of protein per 7 oz container- it’s been a great way to start my day and even snack on these yogurt bowls later in the day when I’m craving something sweet- I love the distinctive rich, creamy, and delicious taste which is perfect to add my favorite toppings to Definitely trying to get back on track after eating ALL the not so healthy foods during the holidays. Our trip home was wonderful, but oh my, I need to get make it up to my body- too many heavy soups, fried seafood, and desserts did me in! I think my belly ‘popped’ just from our short 5 day visit. It is always important to me to find food products that have clean ingredients and FAGE makes the cut in being an all-natural Greek yogurt, Non-GMO Project Verified, has no added sugars (contains only naturally occurring milk sugar), is made with only milk and live active yogurt cultures, and is made with milk from cows that have been fed non- GMO feed. 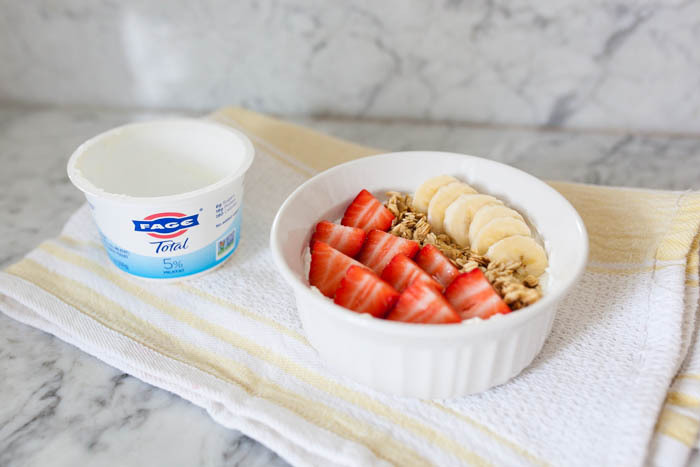 I am always trying to buy clean foods and products for our family and we have actually been long time buyers of FAGE Greek yogurt. 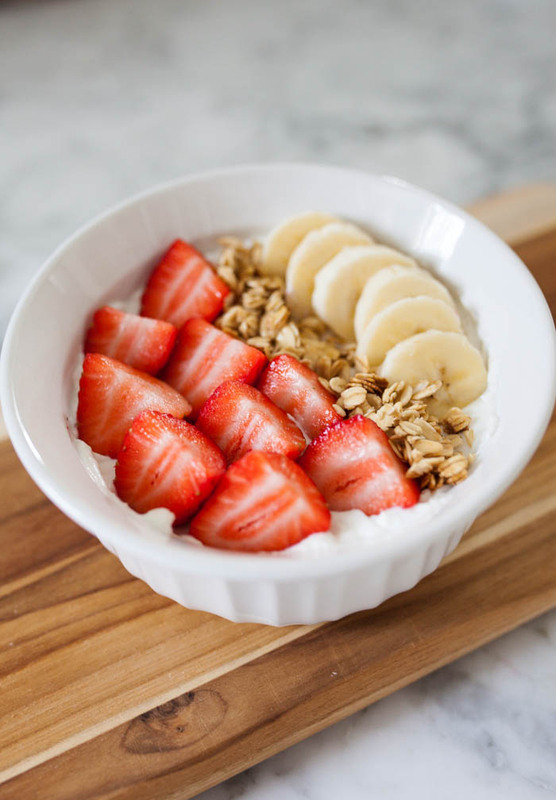 I wanted to put together some of my go to quick recipes that will help you reach for a yogurt bowl instead of the leftover sweets from the holidays. I have put together 5 easy and healthy recipes that are very achievable. I wanted to include ingredients that you most likely already have in your pantry or are easy to throw in when you on a whim want something to cure your sweet tooth. Having small kids, I always have fruit, nut butters, granola, and nuts on hand. Sometimes I have to remind myself to get some of the other ingredients, but I am always glad when I have them. I am a busy mom, so calculating serving sizes isn’t my forte. Growing up in the south I learned how to cook with sayings like, “ a dash, pinch, or handful of this/that”. If there is an ingredient you love more of, you can always substitute or add more of that to get the taste you are looking for. 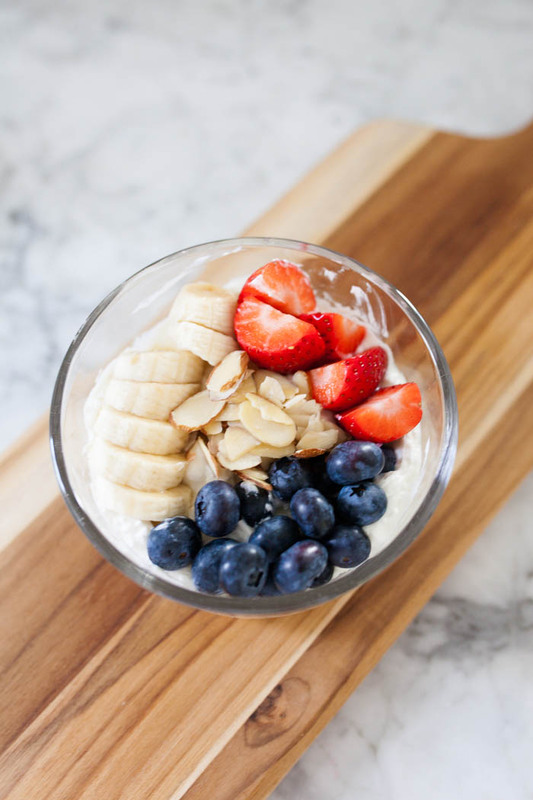 Right now I am trying to add more fiber in my diet, so definitely tailor it to what you are needing to start your day or what will sure your sweet tooth craving. I can’t wait to hear which ones you try or are most excited to try. I created the Honey Granola Crunch recipe just for this post and it is now my new favorite. 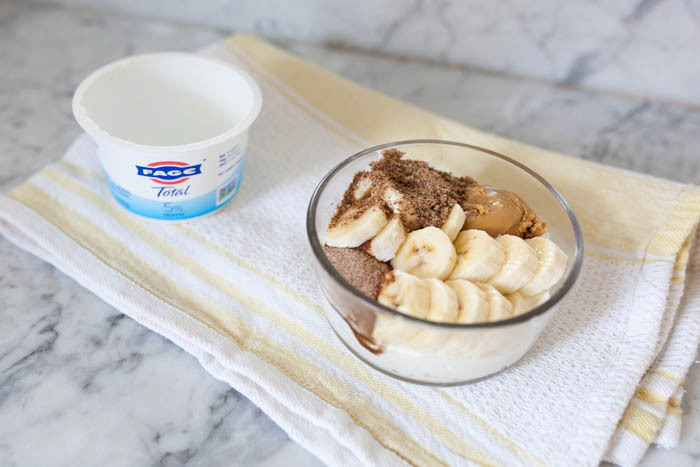 I was excited for this opportunity with FAGE which allowed me to put together my recipes in a helpful way for y’all. 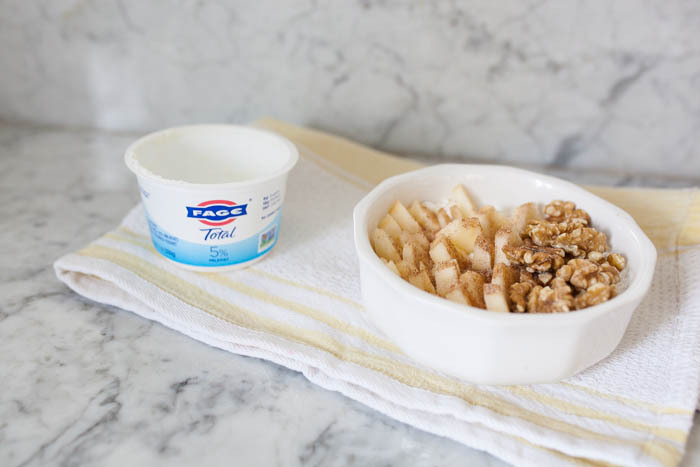 And after you read about my recipes, you can also get more recipe inspiration here on the FAGE website! 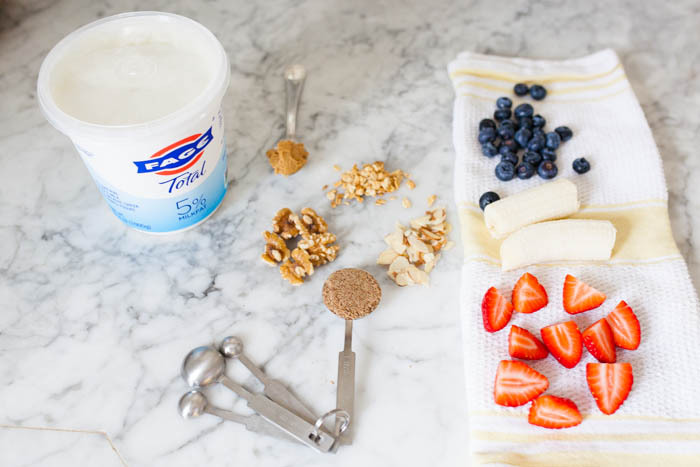 Strawberries, Bananas, Blueberries, and Almond Slices. Please let me know in the comments what your favorite recipe is! 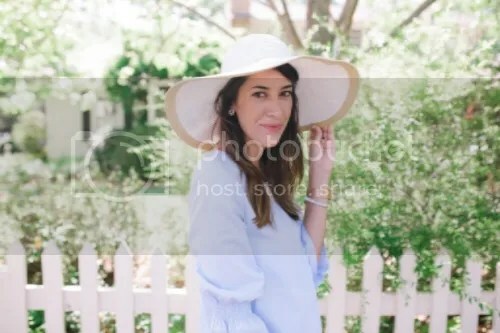 Please tag me on instagram or come back and share with me your creations! Happy New Year and hope this will be a helpful post for you to kick those un healthy cravings. These look so great and I am so glad I stumbled upon your post. I just bought some of this exact greek yogurt and was looking for ways to meal prep some for breakfast. This sounds so good! Need to try!! This yogurt sounds amazing. I saw on their website they have the split containers with fruit and yogurt. That’s easy for me! I’ll have to look for these at the store. 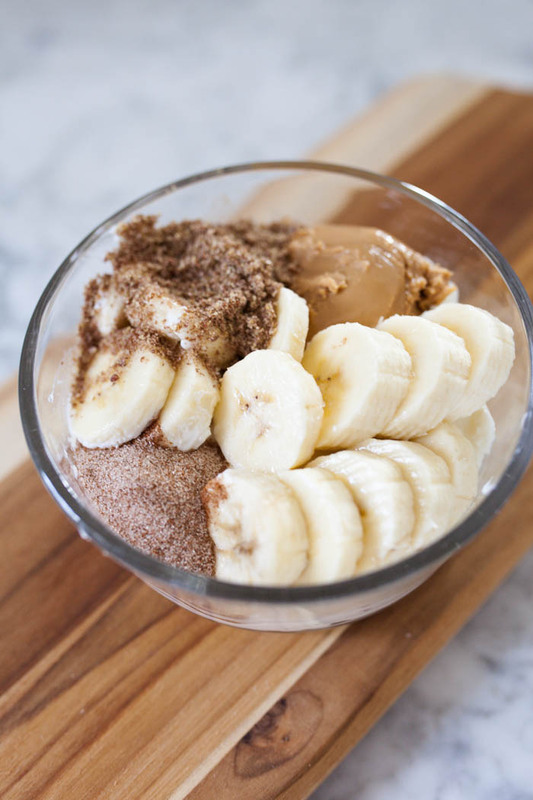 Peanut butter, banana, and cinnamon .. YUMMM!! Um yum! 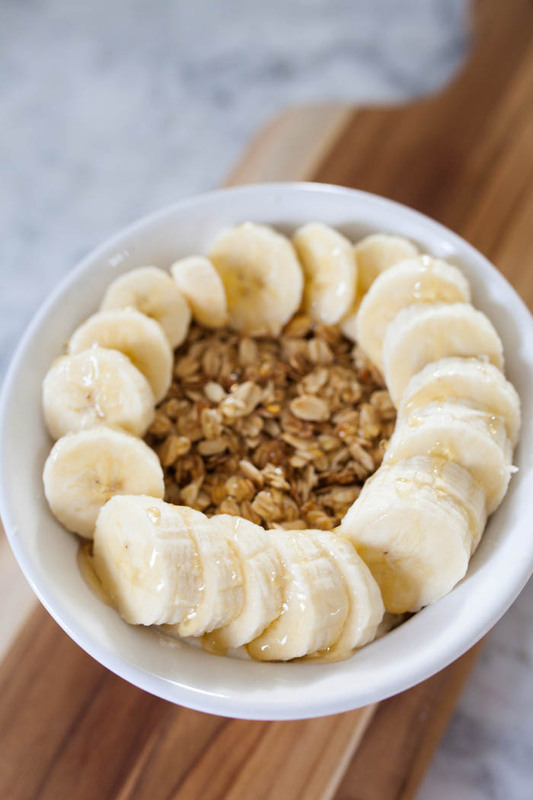 All of these bowls looks so delicious and healthy! I will have to make some on my own soon! I love the idea of that first bowl. It seems really comforting. 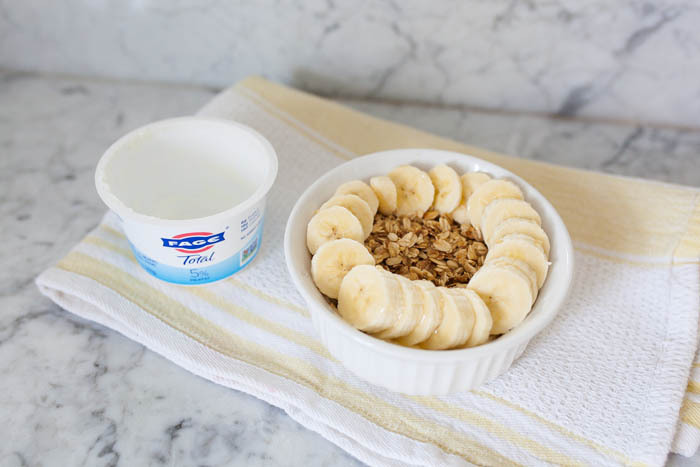 I’ve never tried this style of Fage yogurt, so I gotta get on that! These recipes look absolutely delicious! 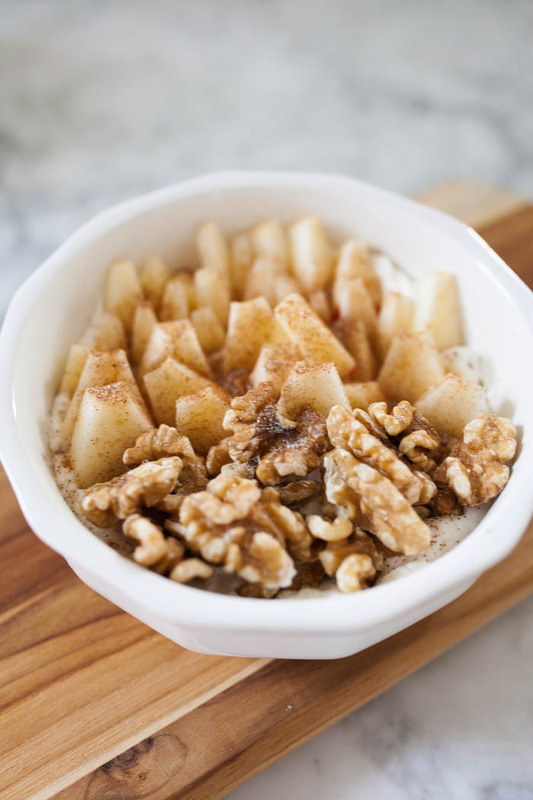 I’m loving all these breakfast bowl ideas!! They all look so yummy!